HWY. One Drilling Ltd. is owned and operated by Wes Maley. He continues a family tradition of more than 100 years. 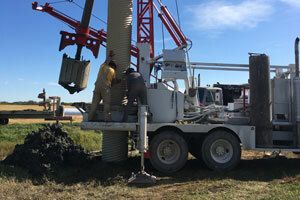 As a fifth generation water well driller, he knows and understands the water well industry. He holds a Journeyman Certificate of Qualification in the Water Well Driller Trade. He has also attended and completed the Kelsey Institute of Applied Arts and Sciences Course on Water Wells, as well as attending many educational and training courses and lectures throughout the years. When you choose HWY. One Drilling Ltd., you get a professional who strives to do the best job possible. Contact us to get started today!